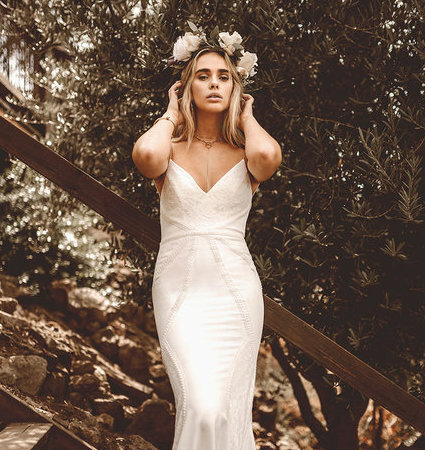 For the unique, the free spirited, and the forward thinking bride, The Bride Lab stocks a thoughtfully curated range of exclusive designer wedding dresses. Permanent collections by Anna Campbell, Rue De Seine, Alexandra Grecco, Lovers Society, Marquise Bridal, Rachel Gilbert, Theia Couture, Amaline Vitale and Hera Couture, and ongoing trunk shows of many other exclusive designer names that you won’t find anywhere else in Adelaide. Modern, indie, boho or vintage – make an appointment today to view these exquisite gowns. Lovers Society combines bohemian vibes with a touch of modern elegance. Lovers Society wedding dress designs in store are priced approximately $2900 - $3300. Amaline Vitale creates beautiful wedding dresses for modern and elegant brides. Wedding dress designs in store are approximately $3400 - $4200. 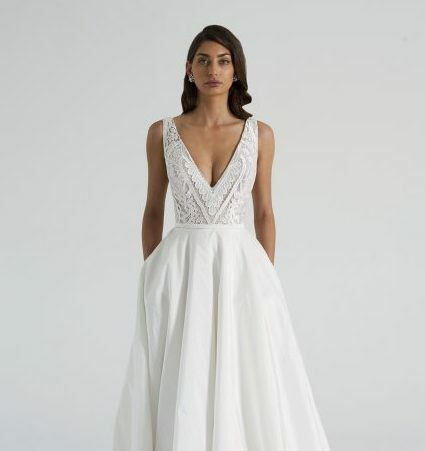 Hera Couture features classic laces and flattering silhouettes, wedding dress designs in store are approximately $3000 - $5000. A collection of beautiful plus size designer wedding dresses available to try on in Adelaide up to size 20.